Google's Arts & Culture app is arguably the best virtual museum you can "visit" from your smartphone right now. With its simple and intuitive interface and extensive, ever-expanding collection of art pieces, the can seriously become a real time-waster. Yes, it is a great app for art and history lovers alike, but guess what made Arts & Culture so popular lately? 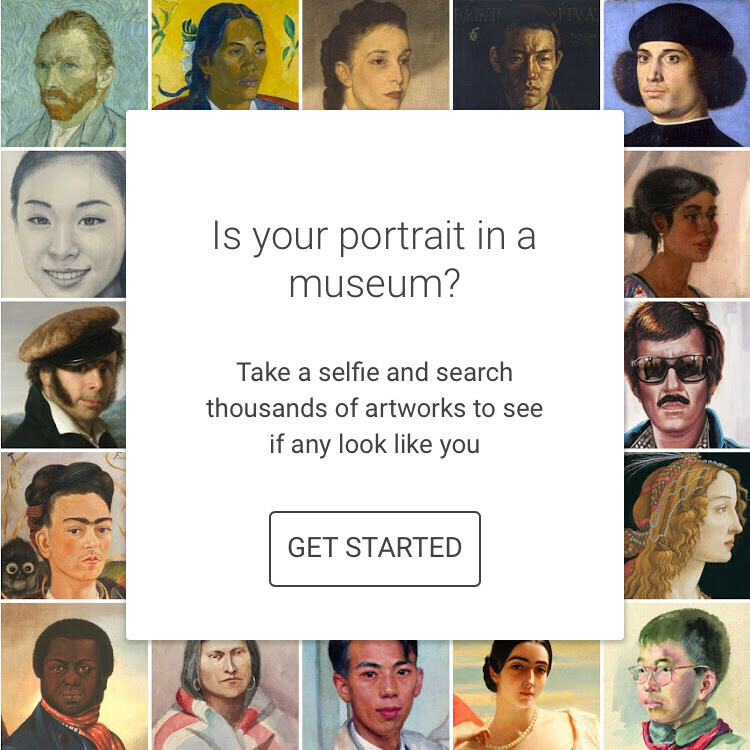 The new feature that lets you match your selfie to famous works of art, that's what. Yes, forget about actually having interest in all this otherwise, but let people snap selfies and have them compared to paintings and you've got yourself a jackpot. In fact, after the selfie matching functionality was added in a recent update, Google's Arts & Culture app gained so much traction online that it claimed the No. 1 free app spot on Google Play in the U.S. People on social media are going crazy posting their results from the app. But alright, let's talk about the tech behind it all. It's actually a relatively simple implementation of facial recognition through machine learning. Google has been experimenting with object recognition and scene matching over the years (anyone remember DeepDream? ), mainly to improve the various types of image searches it offers online, and now a simplified version of the tech is being used to match your selfies to paintings. But hey, it's a neat feature. Not only is it fun, but it might actually spark someone's interest in art, who knows! Once you get a match, you'll also see who's the author of the painting, as well as which museum it's currently displayed at. I don't find that option unfortunately.